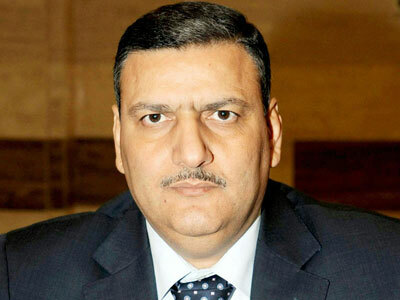 Syrian Prime Minister Riyad Hijab has been sacked, state TV reported. His current whereabouts are unknown, and there are conflicting reports as to whether he has fled the country. Hijab, Syria’s former Minister of Agriculture, was appointed Prime Minister in June following parliamentary elections in the country. The ex-Prime Minister is currently in Jordan, where he fled with his family, Reuters cited a Jordanian official as saying. Hijab’s former spokesperson Muhammad el-Etri confirmed the report. The former Prime Minister has defected from the Syrian government and traveled to Jordan with ten family members, where he will join the Syrian opposition forces, el-Etri told Al-Jazeera. However, Jordanian Minister of Information Samih al-Maaytah denied that Hijab is in the country. Meanwhile, Al-Arabiya reported that the defected premier would travel to Qatar. Omar Ghalawanji, the country’s Minister of Local Administration, will temporarily assume Hijab's duties before a new Prime Minster is appointmented, the Syrian TV report said. The news comes less than a month after four key Syrian military officials, including the Defense Minister, were killed in a suicide bombing at a national security building in the capital of Damascus. Levels of violence in the country remain high. 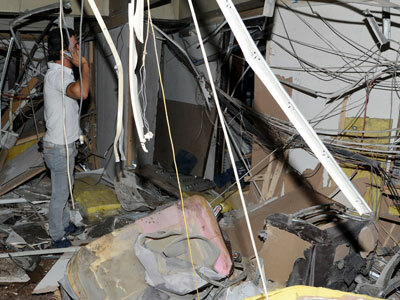 A bomb blast at a state TV and radio building in Damascus wounded three people on Monday. Fighting continues in Aleppo, where government troops and armed opposition forces are battling for control of the city. ­In addition to Hijab, three other members of Assad’s cabinet have defected, opposition sources claimed. Three army generals also fled the country, separate rebel reports said. The allegations were quickly picked up by international media. Treasurer Mohamad Gillati, one of the cabinet members alleged to have fled, denied the rumors of his defection in a live Syrian TV broadcast.